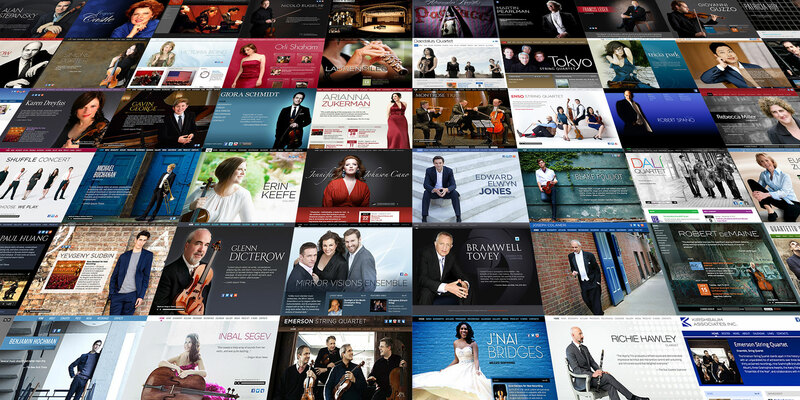 KultureShock.Net makes it easy for classical musicians and performing artists to set up and maintain a website. You’re a performing artist, you shouldn’t have to know HTML and CSS just to set up and maintain a beautiful website. But other website systems require technical knowledge to get the results you need, plus they take a lot of time to learn, set up and maintain. The life of a professional musician, singer and conductor is demanding! We know you’re busy rehearsing, traveling and performing. KultureShock.Net was designed just for you. Everything is already set up with the features and sections you need: Bios, Acclaim, Recordings, Calendar, News, Photo Galleries, etc. All you have to do is start adding your content to the right section. It’s that easy! And if you need any help along the way, we’re here for you. We are completely dedicated to helping you get the best out of your website and our clients know they can get ahold of us 7 days a week through our built-in customer support system. If you can’t find an answer in our detailed Help Center, send an email to our support address and you’ll have an answer within hours. Who uses KultureShock.Net? Oh, just some of the most talented people in the world, that’s who! Our clients are leading violinists, pianists, conductors, opera singers, composers, trios, quartets, brass ensembles … even a trombonist! Take a look at the banner at the top of this page, they are just a few of our amazing clients. Want to learn more? Click on that big orange button below. You can even try out KultureShock.Net for 30 days. Free! Have any questions about our blog or website service? Use the form below the send us a message. We’ll get back to you as soon as possible.